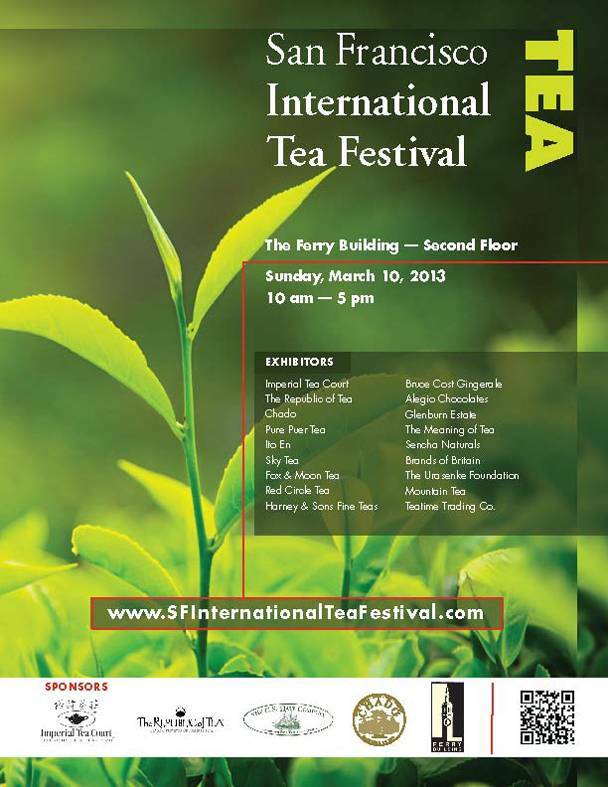 Pure Puer Tea will be sampling and selling our tea and our Piao I teapots and infuser bottles at the 2nd Annual San Francisco International Tea Festival Sunday, March 10, 10-5, on the 2nd floor of the Ferry Building. Come and join the fun! February 23, 2013 | Filed under Uncategorized.